The Smoothwall’s supplied reports are found under the Reports > Reports > Reports menu. 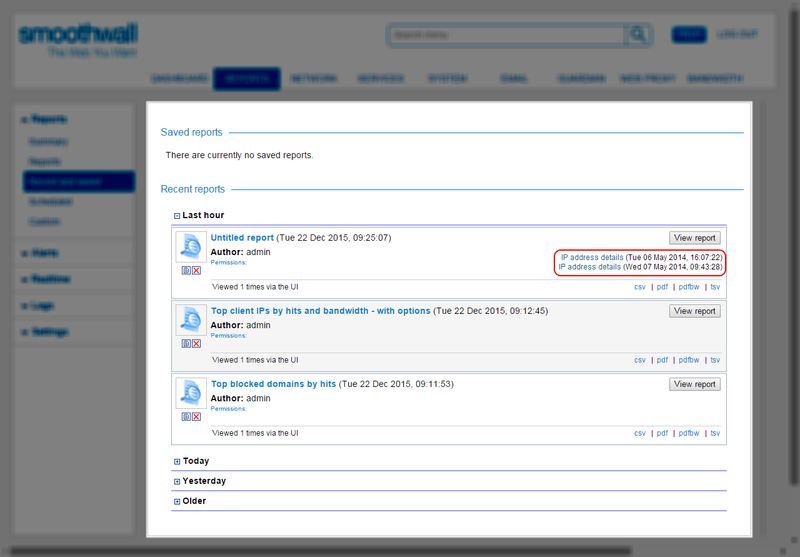 Those reports available to run are dependant on the Smoothwall, and licensed modules, installed. All other supplied reports have been deprecated from the Smoothwall, but remain in the Archive folder for backwards compatibility. For a detailed description of the supplied reports, see Available Reports. Some result data, such as, IP addresses and URLs, can present additional information when hovered over. This is particularly useful where the Smoothwall has truncated a long URL for display purposes. Note that not all reports and results have this feature.